From migrants facing death at borders around the world, to the different chapters of the “War on Terror,” to the politics of post-genocide, our era seems to be marked by the constant politicisation of death. Social and physical death are increasingly intertwined in various spectacles of horror. Clearly, not all deaths are treated equally. Trenchant questions remain over what kinds of death are deemed morally, political and legally significant; and what kinds of death are rendered visible or invisible, and with what implications for those who are still alive. These short blogs started life in a workshop on Politics in the Face of Death, held at the University of Edinburgh in May 2018, where we brought together scholars from different disciplines: anthropology, forensic architecture, international relations, law, political theory, and sociology. 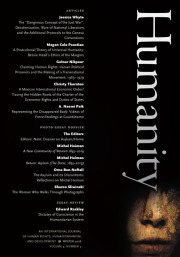 Their contributions shed light on the re-signification of social and political relations after the exhumation of human remains of the 1994 Rwandan genocide (Laura Major); the post-mortem reconstitution of the dead as subjects of human rights (Moon), the transformation of migrants and refugees into legitimate military targets subjectable to lethal violence (Perugini and Gordon); and the struggle—through the tools of “forensic oceanography,” against the attempts at erasure by state actors—to identify migrants deaths in the Mediterranean Sea (Pezzani and Heller). The fundamental tension that these contributions examine concerns the attempts to render dead bodies irrelevant—bodies that are pre-emptively constituted as not mattering, as dispensable bodies that will “not count,” through different policies and legal operations, on the one hand; and on the other hand, the claims of justice that dead bodies can generate after death—bodies that continue to matter, for the living and otherwise. Hence our ambivalent title. This ambivalence is in large part a question of knowledge; of the different forms of knowledge (and denial) we produce about the claims of the dead, whether commemorative, forensic or aesthetic, for example. Such knowledge, whatever its forms, is inevitable partial, incomplete, but also emergent. And it is in these spaces that alternative politics can emerge. We hope that the combination of texts published in this series can provide a small contribution to thinking through the politics of dead bodies, but also to examining how the politics of death constantly generates—in spite of it often being a politics of normalisation and the occultation of death—a politics of resistance to death, through the mobilisation of different techniques of struggle and registers of justice. As such, we hope to support an engaged transdisciplinary scholarship and forms of political activism that go beyond death. Mathias Thaler is Senior Lecturer in Political Theory at the University of Edinburgh. His latest book is Naming Violence: A Critical Theory of Genocide, Torture and Terrorism (Columbia University Press 2018). Thaler has also published essays in journals such as the British Journal of Political Science, Political Theory and Review of Politics, amongst others. I precisely desired to thank you so much again.